Looking for Accommodation in Camperdown? Camperdown sits along the Princes Highway in a long flat stretch of the road, but under the gaze of Mt Leura, a popular hill for motoring enthusiasts doing hill climbs, and providing great views of the surrounding dairy farming district. One of the hotels in town is named after this hill - Leura Hotel. On the northern edge of town, is Lake Bullen Merri, and this is a great area for all sorts of water sports and water-skiing. On clear days, if you can go up to the higher areas of the town and look to the north, you can see Mt Elephant at Derrinallum with the lake in the foreground. History of the area goes back to its first dwelling in 1853 on the site presently occupied by the Commercial Hotel, and there are numerous buildings that are of historical and architectural significance, like the blue stone Post Office built in 1863, and the clock tower in the centre of town built completed 1897, and the court house opposite, in 1887. 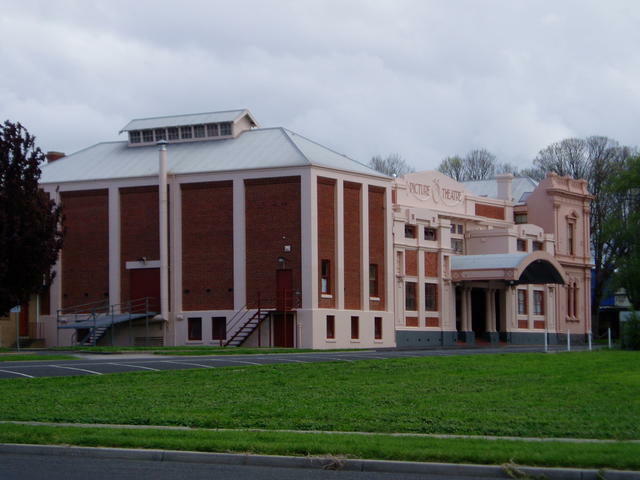 Another interesting building is the iconic Theatre Royal, built in 1928, and with a recent $150,000 grant from the Victoria Government, it is sure to continue entertaining visitors from far around. Camperdown is an easy drive from Melbourne (about 2 hrs) and is a good stopping point for those traveling the Princes Highway from Melbourne to say Warrnambool or Portland beyond. It is also a good alternative way to swing south down through Cobden to Port Campbell and Peterborough to see the western end of the Great Ocean Road.